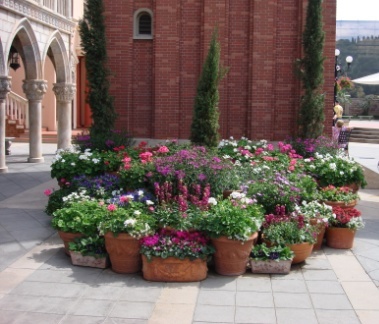 There’s no doubt that Disney has glorious gardens. I am so inspired by their containers. I want my containers to look like these. Buckets of love. 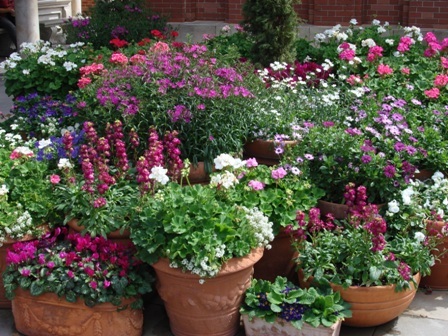 I have collected quite a few plastic nursery pots that I use for my containers. They are large and the black color keeps them warmer in the winter, but they aren’t very attractive. 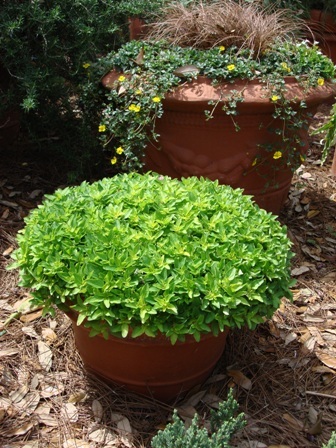 I’ve decided to spray paint my pots a natural moss color. I believe they will blend in nicely with our garden. I’ll let the kids paint some of their designs on them too. I thought about wrapping them in burlap, but it would get soggy outside in the weather. 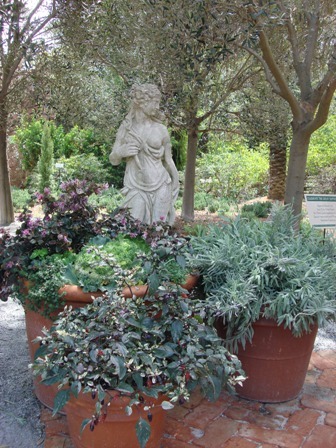 I love creative containers that are used for planting, but I also love the look of classic pots. 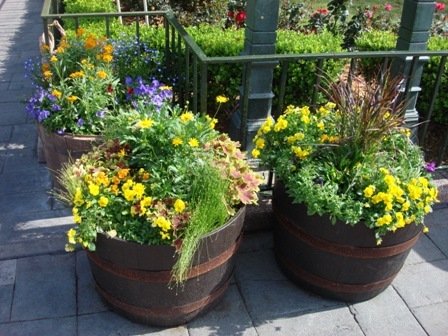 The Epcot International Flower and Garden Festival has breathtaking displays this year. They have a booth called “Ask the Experts” with Master Gardeners from Orange County that are waiting to answer questions. Grayson had several questions and Master Gardener Katherine spent lots of time with him. We wanted to stay and talk to her all day, but a line was forming. We will definitely look for her next year. Can you almost smell the flowers? 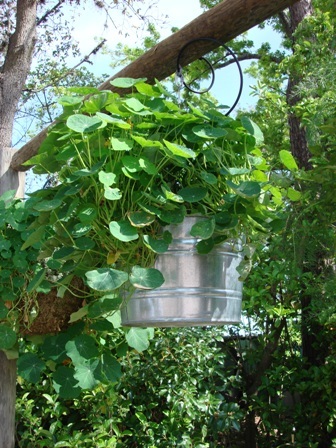 Flowers are beautiful when planted with a fruit tree, vegetable plant, herbs, legumes… or just about anything. We used to have our minds set on edibles. If we couldn’t eat it then we didn’t want to waste the fertilizer on it. Our minds have changed. 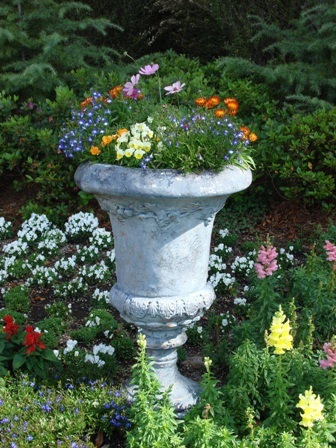 We love our edible landscaping, but flowers make us happy. We’re going to plant more of them. 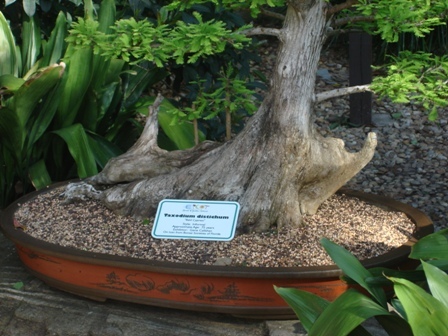 We know an 11-year-old boy who has developed a lofty interest in growing bonsai. This post was kindled by him. Bonsai is actually pronounced (bone-sigh). 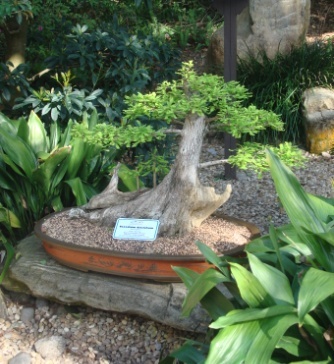 Bonsai is an art form that can provide a lifetime of studying and understanding trees. It is the art form of growing miniature trees to look like full-size mature trees from the inspiration of nature. 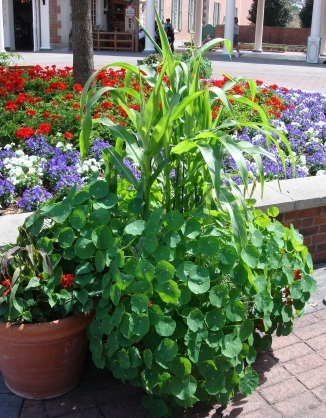 However, the plant is not dwarfed genetically. 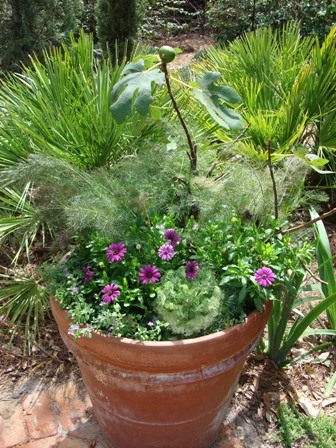 The plant,(from regular root-stock), is kept small by growing it in a pot and using several techniques to keep it miniature. 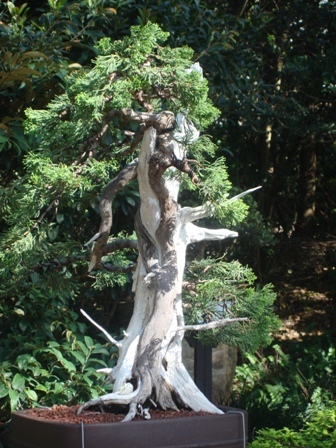 The tree can grow very old as a bonsai and often becomes a prized possession. Some of these trees outlive their owners and are passed down through the generations. 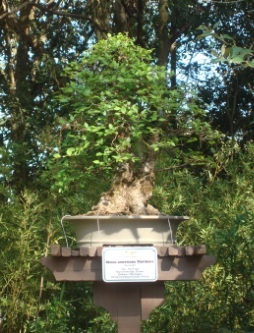 A good quality bonsai tree can be purchased from a bonsai nursery. It is worth seeking one out because you can ask a million questions and they love to share their knowledge. 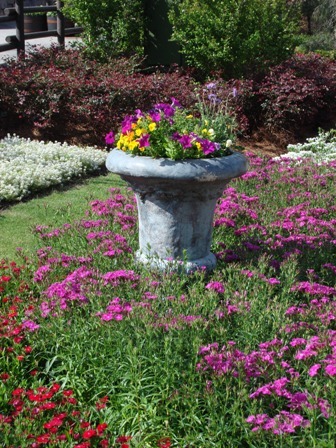 Be sure to get some guidance on maintenance such as fertilizer, pruning, water needs, and re-potting. The tree should feel firm in its pot. 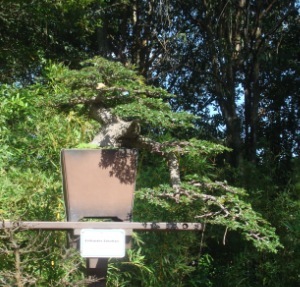 There are many books written about growing bonsai. 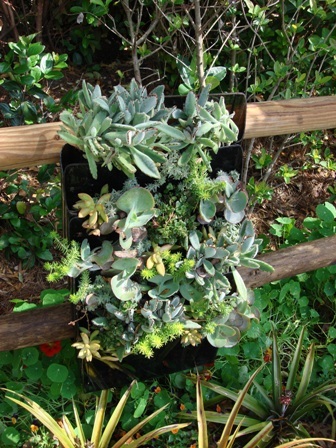 A well written book should give a lot of information about technique, tools, re-potting instructions, different styles, plant directory for indoor and outdoor, how to display it, soil types, working with the wire, propagating, and collecting plants from the garden. I looked through quite a few books when I was seeking information for growing bonsai and the best I found was “Growing Bonsai, A Practical Encyclopedia“, by Ken Norman. This book provides step-by-step instructions with pictures. This book, with its fabulous pictures and instructions, will turn anyone into a bonsai enthusiast. It makes me feel like I could create one of these works of art too. One day I will. 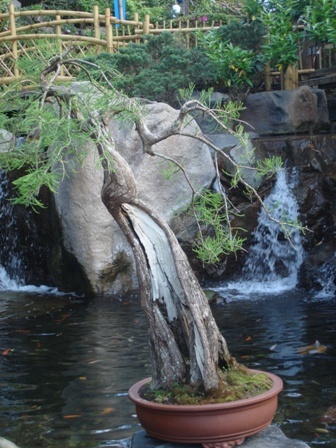 I would like to collect some bald cypress and start a small forest with bonsai ferns growing underneath. 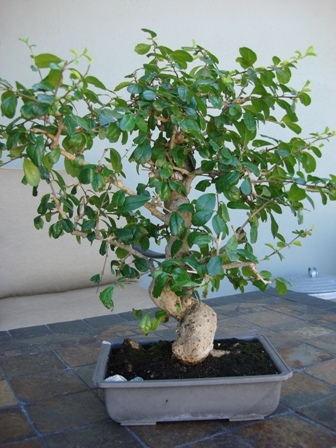 I would also like to bonsai a kumquat tree. How sweet would it be to see miniature kumquats growing? 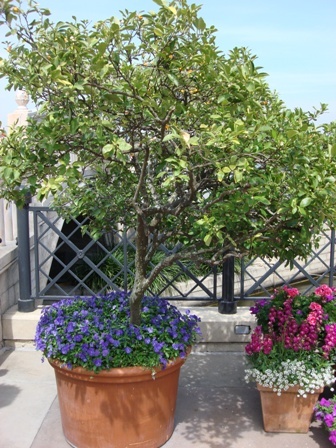 I bought several bonsai trees at the Epcot International Flower and Garden Festival last year. The vendor was informative about pruning technique and sold me three breathtaking trees. Unfortunately I didn’t ask the right questions. One of the trees was completely unable to survive in my climate and the other tree (hibiscus) died overnight from lack of water. I think it needed to be watered twice a day, not just once. That was an expensive mistake. The final surviving tree, a Fukien tea, has become my treasure. It is approximately fifteen years old and blooms lilliputian white flowers. It requires care, but not too much. I move it inside quite often to display it and then move it back out to it’s “spot” after a few days. This year I will put my “blinders” on when I walk past his booth. His beautiful display opened my eyes to the beauty of bonsai and made me notice them when I never did before. However, this year I am going to try my hand at creating my own.